History was made on Saturday, January 21 when protesters marched on every continent in support of women's rights. 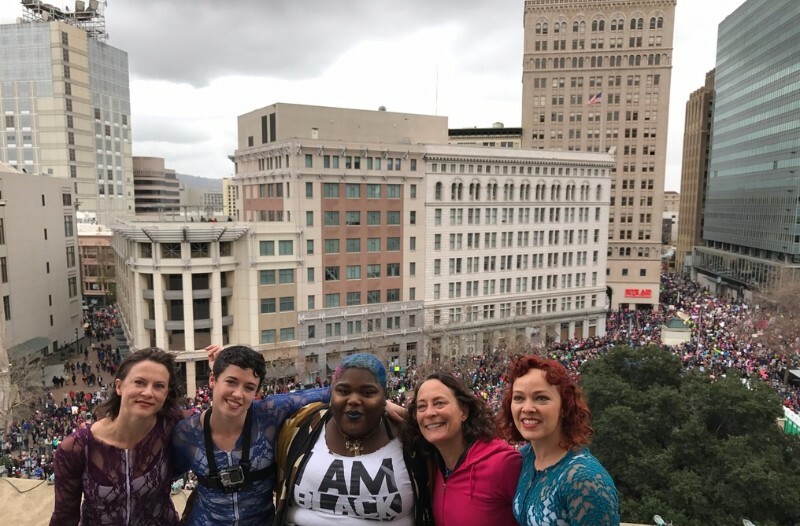 In Oakland, California, tens of thousands of peaceful protesters took to the streets in a moving display of solidarity. 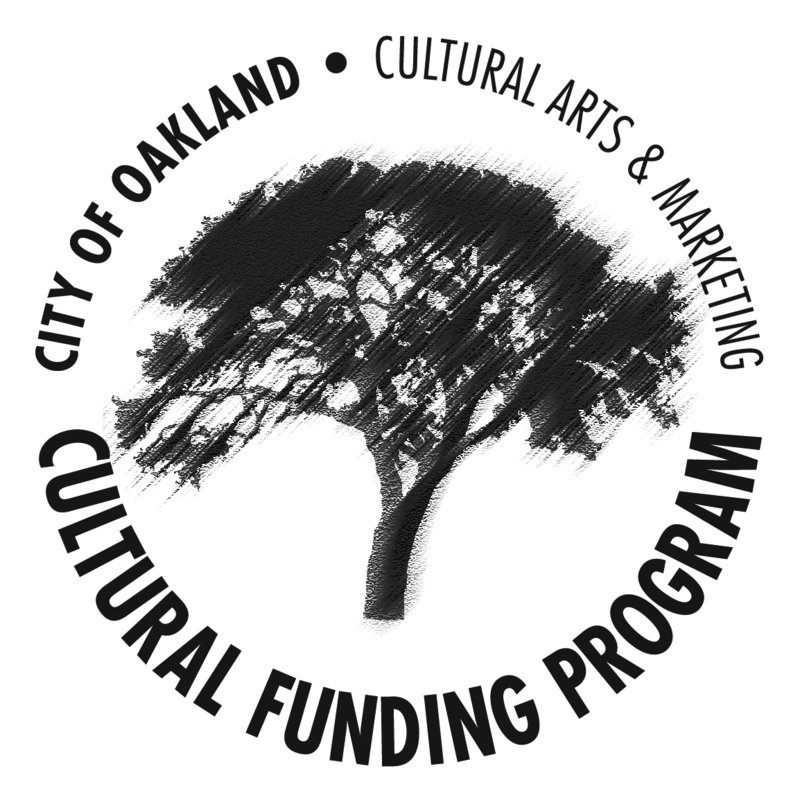 BANDALOOP gave a free performance on Oakland City Hall to lend their voice to the occasion, and was joined by the incredible Tassiana Willis, a vocalist with YouthSpeaks - one of the community collaborators for the #PublicCanvas San Francisco world premiere in 2016. BANDALOOP had the unforgettable honor of dancing at the Opening Ceremony for the Africa Cup of Nations 2017 in Libreville, Gabon earlier this month! 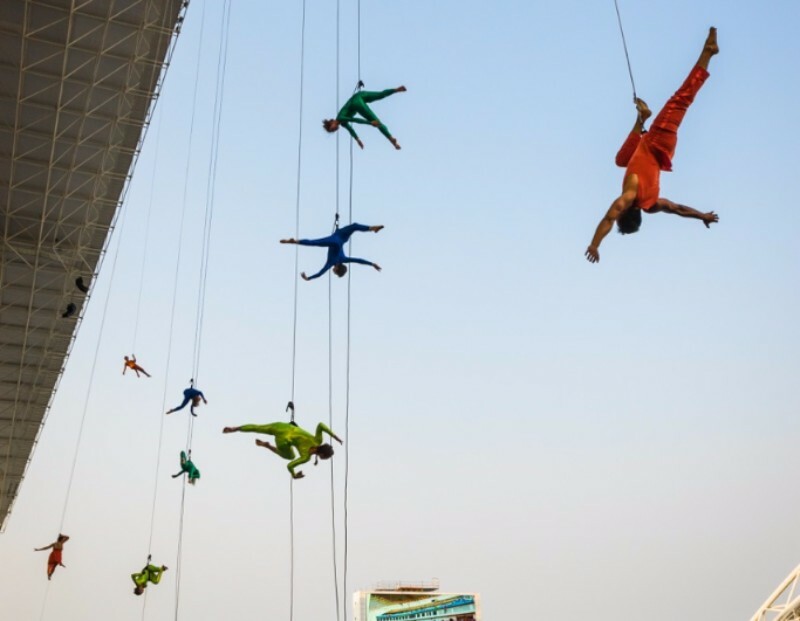 Performing suspended from the 150-foot high rafters of the Stade de l'Amitié, the largest international delegation in BANDALOOP history performed to a stadium of 40,000, including the President of Gabon and other dignitaries for the continent's most celebrated sporting event. A top notch team on the ground and a global live broadcast helped make this one of the most stunning and farthest-reaching live vertical performances in the company's history. More photos and some video clips are available on BANDALOOP's Instagram and Facebookfeeds. BANDALOOP will perform in the Arctic Circle on a giant crane at the opening ceremony of the Barents Spektakel. Initially part of the industrial diversification of the local economy after the first closure of the local mine, the crane was decommissioned and became a purely sculptural landmark on the Kirkenes skyline. In a dynamic exploration of the industrial landscape, BANDALOOP will perform to live soundscapes by FROST, an Arctic electro-pop duo from Norway. PREREQUISITE: An intermediate/advanced mover should have regular movement practice, and have taken one BANDALOOP workshop/series in the past 2 years. Must be able to confidently acknowledge and actively engage in BANDALOOP's culture of safety.